Dainty Jewellery Buys, From Accessorize! You know that brilliant Oscar Wilde quote, about resisting everything but temptation? Well in my case, I can resist everything but the Accessorize shop in Glasgow Central Station* - I've been completely under its spell since my teenage years. 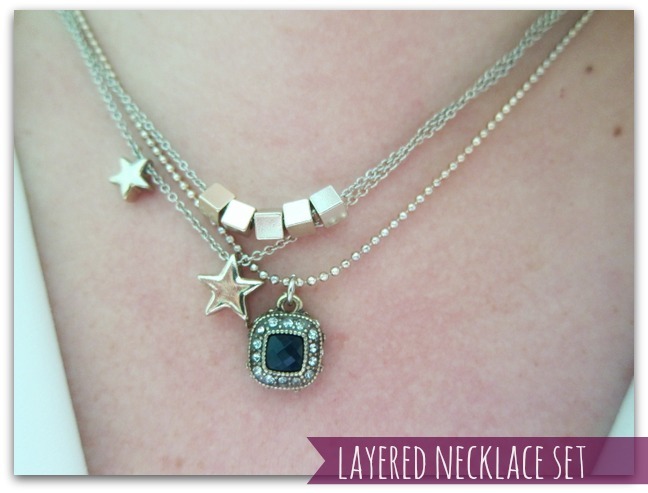 The layered necklace look is one that I love but have never been good at, so I'm happy to cheat. And I've been hankering for an above-the-knuckle ring or five, so this one was a good place to start. *And wine, cheese, and crisps. Obvs. I've been eyeing a few of those pendants meself ;)That nail polish is gorgeous, what is that? That's a gorgeous photo of you at the top! I love dainty jewellery - having quite a masculine face I find the daintier the jewellery the less likely I am to be called 'Sir' in public. I love Gag et Lou (available online, or in Paris if you're lucky enough to be there!) and on the far pricier end of the scale, Alex Monroe. I visited his boutique in Southwark this year and it's about the cutest place on Earth. Loving all the pieces lady! I always feel stranglated when I layered necklaces, but I'm going to keep trying to find the perfect mix of lengths and designs. Love the ring! Cute little pieces, I love the star necklace part of the set. Feel free to comment and we hope you enjoy! such great stuff! 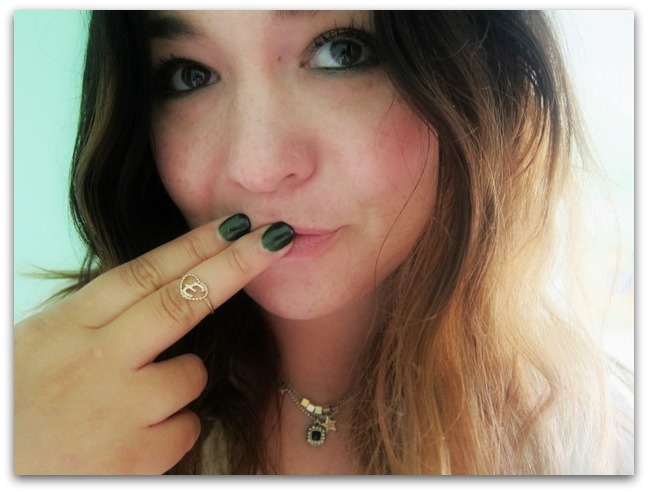 i am in love with your knuckle ring! Love the accessories , but the color do your nails are so cool! How cute do you look?! Awww that ring is the sweetest thing, you look so pretty! 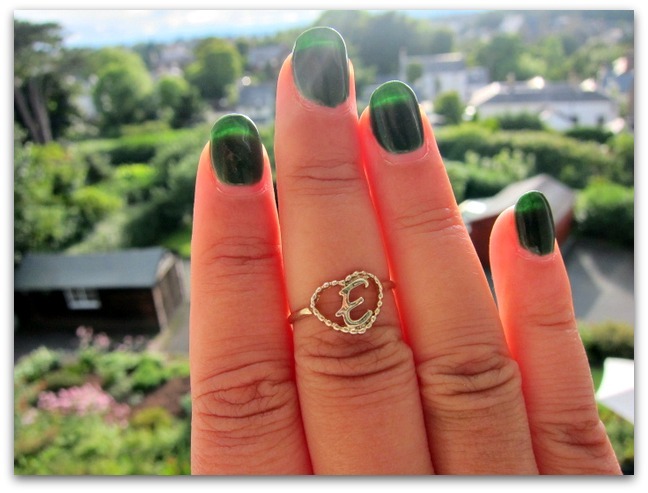 I love that ring and that nail polish is gorgeous .I'm a sucker for green! So cute! I love that dainty e necklace. E is for Erin! !